The Dream Team! From left to right: Melanie, JJ, Cole, Pam, Shawna, and Alyssa. All of our clinical staff are Licensed Physical Therapists (PT) with Doctor of Physical Therapy (DPT) degrees from accredited universities. The PTs at Orthopedic Sports Therapy oversee all aspects of your care and every minute of your time here. 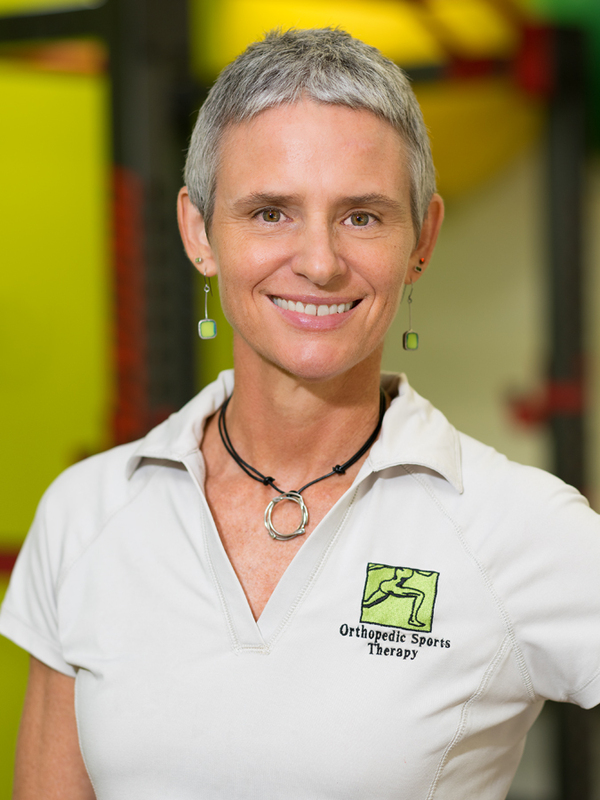 A Physical Therapist for over 20 years, Pam specializes in athletic orthopedic injuries and pelvic health. She uses a combination of hands-on & movement techniques; and has a deep appreciation for each client as an individual. Pam enjoys time with her family, camping, rowing, and running her business. Pam is a Board certified Orthopedic Clinical Specialist, and a Fellow of the American Academy of Orthopedic Manual Physical Therapists. As the founder and owner of Orthopedic Sports Therapy, Pam is grateful every day for her superstar staff and wonderful patients. Cole Hutchens, a native Arizonan, was drawn to be a physical therapist when PT helped him to recover from a back injury in high school. Cole graduated at the top of his class in Kinesiology at ASU and studied physical therapy at Midwestern University in Glendale. He has recently completed training to be a Certified Orthopedic Manual Therapist (COMT), and is committed to life-long learning. Cole is an avid reader and a diehard Phoenix Suns fan. As OST Clinical Director, Cole is responsible for mentorship, operations and staff communication. Melanie is a native to Arizona, born and raised in Mesa. After receiving her doctorate of physical therapy at A.T. Still University, Melanie is continuing her postgraduate education as an Orthopedic Resident at OST, in order to develop her skills as an orthopedic specialist. 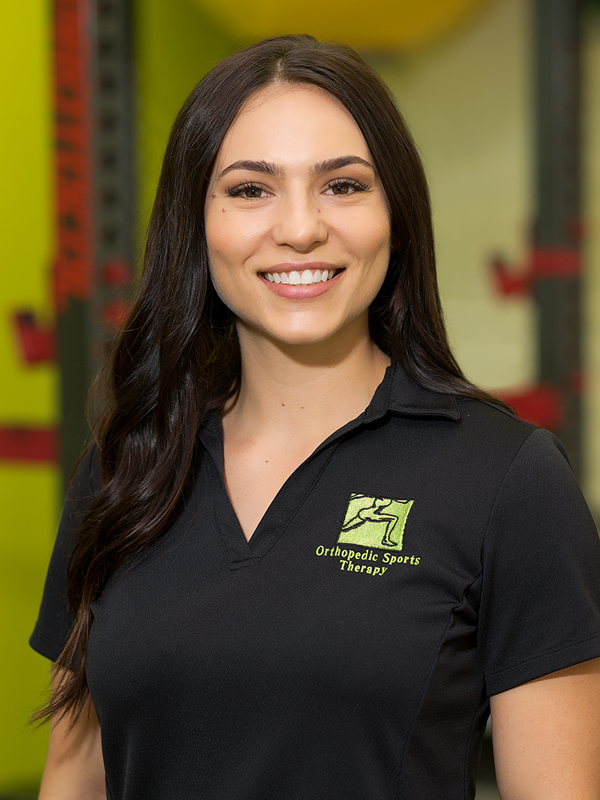 Her belief in the value of health and wellness, as well as her passion to help others reach their physical and mental goals, is what inspires her to be a physical therapist. She enjoys learning, exercising, playing piano, laughing with her husband and spending time with her family. Jessica “JJ” Johnson, chose a career in Physical Therapy out of her passion for serving others, providing meaningful care, and from a love of sports and fitness. She is a Tempe, Arizona, native. Jessica played soccer all four years of college, and then went on to PT school in Tennessee. 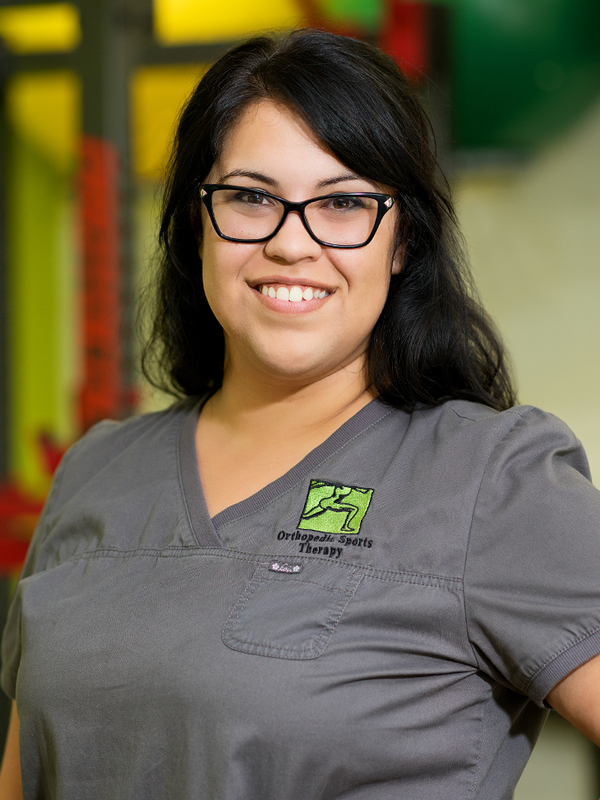 Jessica is committed to professional development and is currently working towards a Certification in Orthopedic Manual Therapy (COMT). In her free time, she enjoys hiking, playing sports and spending time with friends. 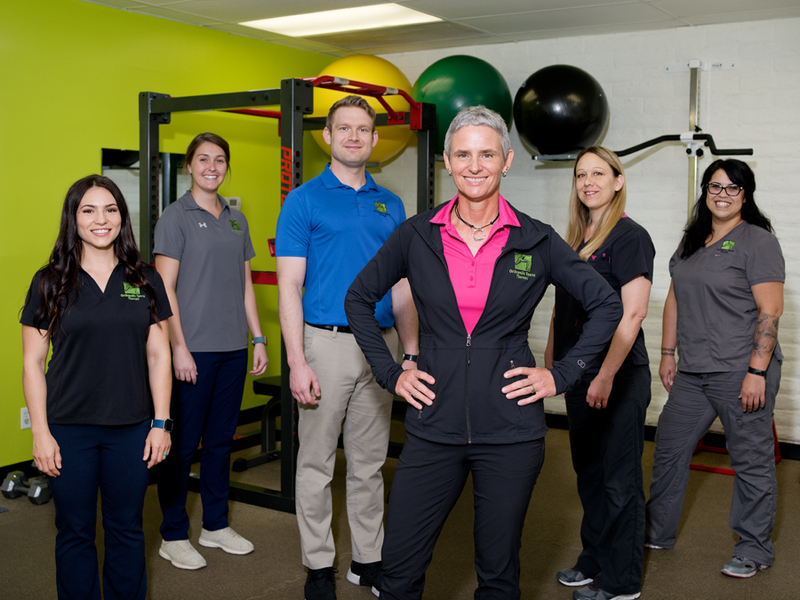 Our office staff are specially trained in all aspects of your administrative care, with additional education as recommended by the Private Practice Section of the American Physical Therapy Association. 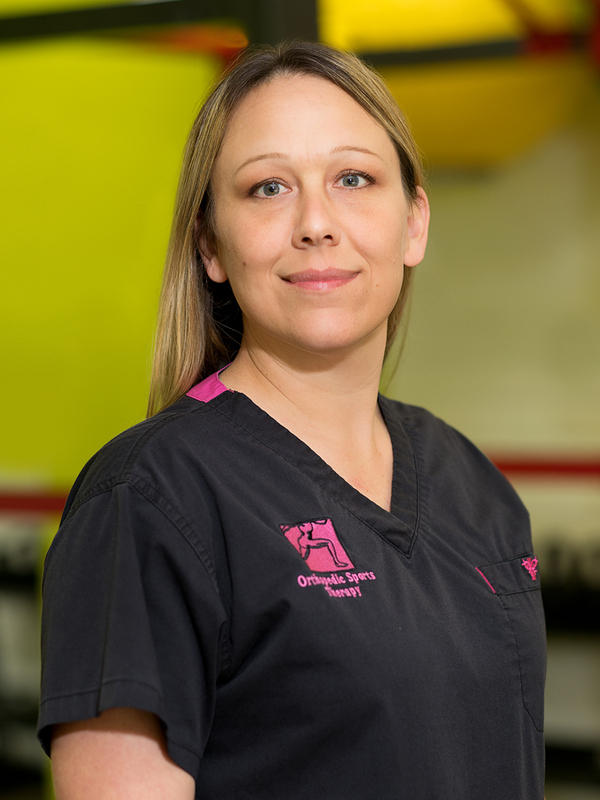 Shawna, originally from Yuma, AZ, has been working in medical administration for over a decade. She enjoys meeting new people and the challenge and rewards of operating the administrative side of patient care. Alyssa was born and raised in Arizona. She loves being a part of patient lives and wellness with her OST family. Outside of work, Alyssa enjoys travel and exploring the outdoors. She is passionate helping others and spending quality time with her family and friends.